Ranking high on the nutritional chart, leeks are a popular remedy for several ailments. They are highly nourishing, inexpensive and plentiful. Used in various forms, from soup to beurek, leeks can add aroma, flavor and richness to almost any recipe. Its syrup, seeds and juice also have a distinct place in the pharmaceutical and cosmetic industries. 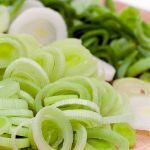 With the unique combination of flavonoids and sulfur-containing nutrients, leeks make an important component in your diet. Scientifically known as Allium porrum, leeks belong to the family of onion, garlic, shallots and scallions.Leeks are packed with essential vitamins, minerals, antioxidants and dietary fiber. It is widely consumed in many parts of Europe, America and Asia. Though they are available throughout the year, they are at their best during the early part of the spring season. Leeks contain an impressive amount of flavonoids, particularly kaempherol, and considerable amounts of sulfur. In addition, they are quite rich in vitamins, minerals and dietary fiber, and low in calories. Their nutritional chart is explained below. Carbohydrates: Carbohydrates are one of the most abundant macronutrients in leeks. A medium-sized leek provides about 10-12 gms of carbohydrates. Out of these, 3 gms are sugars and the rest is complex, slow-digesting carbohydrate. Leeks are also a good source of fiber which is a non-digestible form of carbohydrate. This fiber aids in digestion and helps prevent certain cancers and heart diseases. Vitamins: Leeks contain plenty of folates and vitamin C. Raw leeks provide twice as much of these vitamins as the same amount of cooked leeks. They are also excellent sources of vitamins K and B6. The folate found in leeks is partly present in the bioactive form of 5-methyltetrahydrofolate (5-MTHF). Minerals: Leeks are rich in minerals like potassium, calcium and phosphorus. Potassium is vital for nerve function and energy production whereas calcium and phosphorus help strengthen your teeth and bones. Leeks also contain iron which is vital for hemoglobin synthesis and enzymatic reactions related to energy production. Protein: Leeks are relatively low in protein. 100 grams of leek, including the shaft and lower leaves, provides just about 1 gm of protein. Fat: Leeks are extremely low in fat with a medium-sized leek providing less than half a gram of fat. Moreover, the few fats it contains are mostly polyunsaturated fats which are beneficial for your heart and reduce the risk of cardiovascular diseases. Leeks are rich in dietary fiber, folic acid, calcium, potassium and vitamin C. They are easily digestible as compared to onions. Now, let’s look at the leeks benefits. Leeks are a natural diuretic and detoxify your skin by trapping harmful substances and flushing them out of your body. They perfect cleanse your body, making your skin look radiant. The green leaves of leek contain 100 times more beta-carotene and twice as much vitamin C as in the white parts. This combination of vitamins A, C and E as well as other powerful antioxidants in leeks protects your skin against damage by free radicals and harmful ultraviolet rays of the sun. Leeks are a good source of minerals like manganese, iron, vitamin C and folates. Consumption of leeks adds health to your hair. Leeks are an important source of iron which helps the hair follicles to grow. They are also rich in vitamin C that promotes the absorption of iron by the body. Deficiency of iron can cause anemia which is one of the causes for hair loss. Leeks contain a flavonoid, kaempherol, which protects the linings of the blood vessels against free radicals. Kaempherol stimulates the production of nitric oxide which acts as a natural dilator and relaxant of the blood vessels. It allows the blood vessels to rest and decreases the risk of hypertension. Leeks contain a generous amount of vitamin K which benefits every tissue in your body. Low levels of vitamin K can induce bleeding and adversely affect blood circulation. High content of vitamin K in leeks activates osteocalcin, a protein that is vital for bone health. A cup of leeks provides about 42 microgram of vitamin K which is 47 and 34 percent of the daily recommended amount for women and men respectively. High levels of homocysteine in the blood can increase the risk of cardiovascular diseases such as coronary artery disease and atherosclerosis. Leeks contain a bioactive form of folate called 5-methyltetrahydrofolate, which has been shown to lower the concentration of homocysteine in the blood. Kaempherol present in leeks also improves heart health by reducing the production of nitric oxide. Chronic inflammation is detrimental for heart health. Vitamin K has anti-inflammatory properties that can fight against chronic inflammatory diseases such as diabetes, obesity and rheumatoid arthritis. Abundance of vitamin K in leeks prevents chronic inflammatory diseases and unwanted calcification of the arteries. Besides vitamin K, vitamin B6 in leeks also provides anti-inflammatory benefits. A prebiotic, leekshelp in digestion, and stimulates and strengthens the stomach, kidneys and gut. 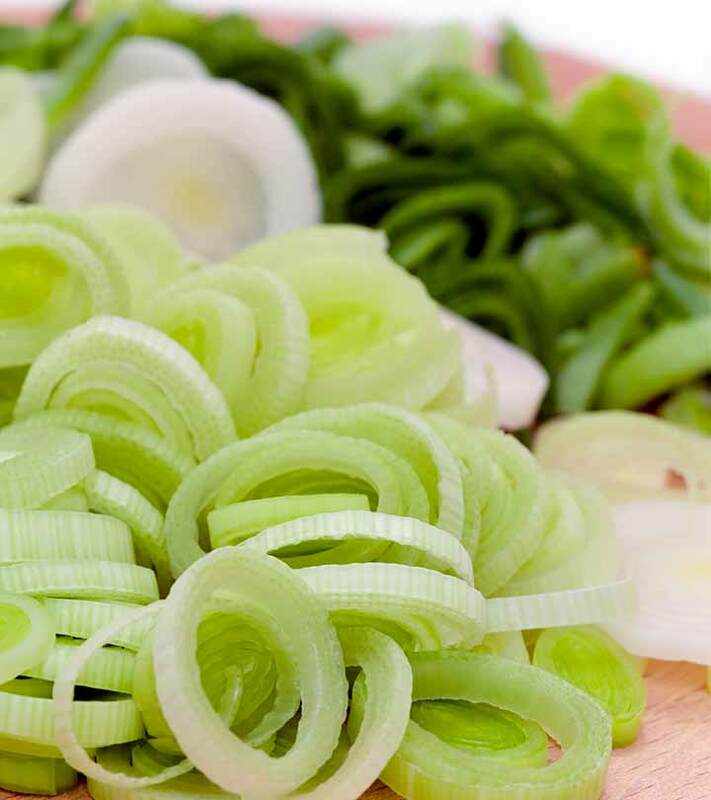 Fibrous vegetables like leeks enable you to eat slowly, hence properly digest your food. This prevents overeating and makes you feel full. Leeks are a good source of allyl sulfides which can inhibit pathways associated with the formation of malignant tumors. Like other members of the allium family, they may play an important role in preventing certain types of cancer. They can also reduce the risk of prostate, colon and ovarian cancer. Leeks help in weight loss and fight obesity as they are low in calories and fat-free. Leeks are a natural appetite suppressant. Their high fiber content suppresses your hunger by providing a feeling of fullness. Both soluble and insoluble fibers present in leeks regulate intestinal activity and reduce bloating. It can also be added to your recipes to get that extra flavor without adding calories, proving beneficial for those who want to slim down. Leeks are a good source of lutein and zeaxanthin. These compounds are vital for healthy eyesight. They protect your eye tissues from the harmful oxidation of DNA and cell membranes, by filtering out harmful light rays while they enter your eyes. The consumption of leeks in adequate amounts protects your eyes from cataracts and age-related macular degeneration. Leeks are rich in vitamin B9, also known as folate (folic acid). Folates form an important part of the diet of pregnant women. They are essential for the production of new DNA which is needed for formation of new cells. Folates also promote healthy neural tube formation, adequate birth weight and proper development of the face, heart, spine and brain. Fiber plays an important role in reducing cholesterol levels by promoting easy bowel movements. It also helps to flush out the extra cholesterol from the body and reduces the production of cholesterol in the liver. Leeks have antiseptic properties that help the body fight infection. Thus, they help lower LDL cholesterol and increase HDL cholesterol. 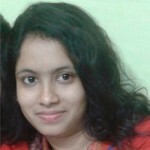 Here is another good post on home remedies for reducing cholesterol. Leeks are valuable sources of antioxidants such as polyphenols. These antioxidants help fight against free radicals, preventing ageing and many chronic diseases. A serving of 100 grams fresh leeks provides about 3 mg gallic acid equivalents (GAE). Leeks along with onions, garlic and celery are knownfor centuries, for their aphrodisiac effects.Make a juice with leeks and celery, and you will be surprised to see the difference. Due to the presence of volatile oils, leek juice has a balsamic action on the respiratory tract. Thus, it can relieve the symptoms associated with flu, cold and hay fever. Magnesium, phosphorous and folate are important nutrients needed for healthy functioning of the nervous system. Leeks being rich in these vitamins and minerals help improve concentration, memory and the brain’s ability to process information. Cut it into thin slices and addto a variety of salads. Make leek juice from the stalk, bulb, and leaves. Prepare soups, pottages, broths, omelettes and sauces. The stalks can be steamed and sautéed along with other vegetables in stir-fry recipes. Boost Your Health With Leeks Today! To make this soup, you need leeks, potatoes, butter, olive oil, white pepper powder, salt, cream and bay leaf. Chop 1-2 leeks(including the stalk and leaves) into thin slices and then wash them thoroughly to clear soil and dirt. Also, cut 2-3 medium sized potatoes into small cubes. Heat some butter and olive oil in a pan and put the cut leeks into it. Add some salt as per your taste. When the leeks become soft, add the potatoes and turn them around for a minute. Then, add some home-made chicken or vegetable stock (proportionately) to it. You can add one bay leaf and a half teaspoon of white pepper powder to the soup. Once the soup comes to a boil, turn it down to a gentle simmer and then cover it with a lid. Let it simmer for about 45 min until the potatoes become tender. Then, blend the mixture and add a little bit of cream to enhance the taste. Your yummilicious, healthy soup is ready to serve! Try this great appetizer for extracting the best health benefits from leeks. Leeks are wonderful in taste and rich with amazing health benefits. Include them in your recipes to enhance taste and boost the nutritional value. Leave a comment below to share your experiences and views with us. How To Get Skinny Fast: A Week Is All You Need!